Common yet they live deep within the reef infrastructure or deep piles of rubble, as was the case for this small specimen. It was was very light shy. 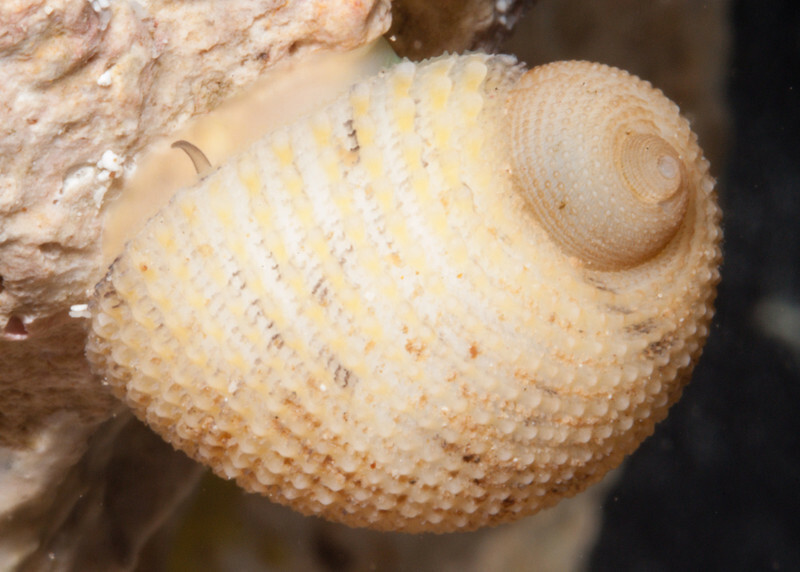 Clean shells are white, the yellowish coloration is from periostracum. (aquarium photo).